Do you run a successful business, but want to know how to take it to the next level? Have you worked hard over the past few years to prove you have a viable business, but now feel like your sales and profits are standing still? Are you looking for a way to scale your business, develop additional product lines or explore new income streams? Or are you already achieving high growth and want to ensure that you sustain it? This book – Needle Movers – 20 strategies that deliver high growth – brings together the knowledge, skills and experience from the High Growth guru, Stuart Ross. Having spent more than 20 years running, coaching and training high growth companies, he brings no-nonsense advice to clear-cut, effective ideas so that you can implement today and move your business forward. If you want your company to realise its full potential, head over to the Amazon Kindle Marketplace and download your guide for only £2.39. What makes a business reach high growth — and how do you create a high-growth company in the first place? In his groundbreaking new eBook, renowned business thought leader and founder of High Growth, Stuart Ross, shows CEOs and business owners how to make the decisions and mindset shifts necessary to become leaders of high-growth companies. Included with the book is a proven business plan used in high growth companies all over the world, as well as guide on how to use it within your own business. 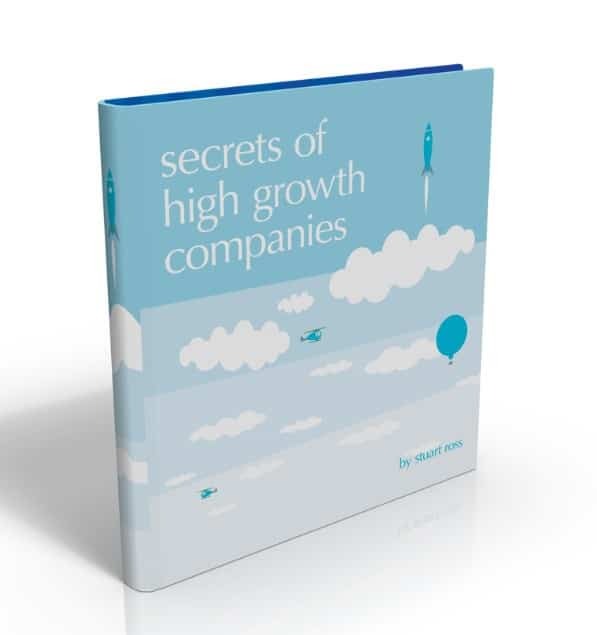 In this short read, Stuart Ross shares 10 high growth strategies that will scale the growth of your company rapidly. Stuart has written this book to help companies achieve the growth they have always wanted, utilizing strategies that you can begin to implement immediately, both with your teams and your entire company structure.